The HTC Desire 210 is a new budget smartphone and just yesterday we gave specs and price details for the phone in India where it has just launched. If this sounds like a phone that you might consider, we have a HTC Desire 210 initial video look to share that will give you an idea of what the phone has to offer. The brief YouTube video underneath this story comes from 91mobiles and gives some first thoughts on the Desire 210 taken at the launch event. It shows some good close-up looks at the design and runs through many of the specs of the dual SIM device. It also mentions the software experience on the handset and discusses the build quality of the phone. Bear in mind that this is just a short look at the phone, and there will be further news to come including reviews and more. However, it does offer a basic look and at least you’ll be able to see if you like the design of the handset. 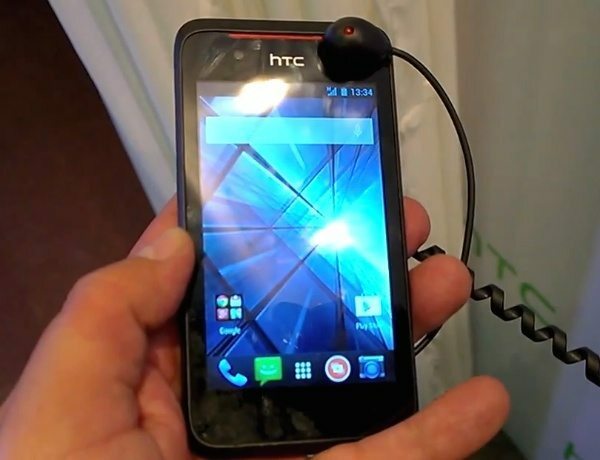 Do you think you might purchase the affordably priced HTC Desire 210?